It won’t be wrong to say that Griselda Blanco was one of the notorious female criminals who erased every atom of sympathy for female offenders in the justice system worldwide. She was not just notorious for her big time narcotics dealings; she was also a fearless murderer guilty of hundreds of murders committed in the course of transporting drugs from Colombia to the US. Also known as the Queen of Narco-Trafficking, Griselda was a guru in the Medellin drug cartel that spearheaded cocaine trade in the country of Colombia and in the US. She was known in Colombia as a ruthless drug lord who goes extra miles to take down her enemies in the business. Blanco ruled the world of cocaine business in Colombia until she was shot dead in 2012. Here are lesser known facts about the drug kingpin. She was born Griselda Blanco Restrepo on February 15, 1943, in Cartagena, Colombia by her mother; Ana Lucia Restrepo. Her father’s whereabouts is not really known. Griselda and her mother moved to Medellin, the hub of drug trafficking in Colombia when she was three. It was there that she imbibed the illicit criminal life, starting out with pickpocketing. It was reported that at the age of 11 Blanco committed her first murder when she kidnapped and killed a child after an attempt for a ransom. In her early teens, she was sexually abused by her mother’s boyfriend and eventually ran away at the age of 14. Griselda then resorted to other illicit acts in other to sustain herself in the infamous Medellin city. Dwelling on the streets of Medellin, Blanco soon became acquainted with members of the Medellin Cartel and also with the business. She helped the cartel to push drugs to US states; Miami, New York, and Southern California. Griselda moved to New York in the 70s. At the time she was married to her second husband. Settling in Queens, New York, she established a sustainable drug trafficking business, running a strong chain that would become one of the largest cocaine operations of the country. In 1975 Blanco and her empire were indicted on some drug conspiracy charges by federal authorities. 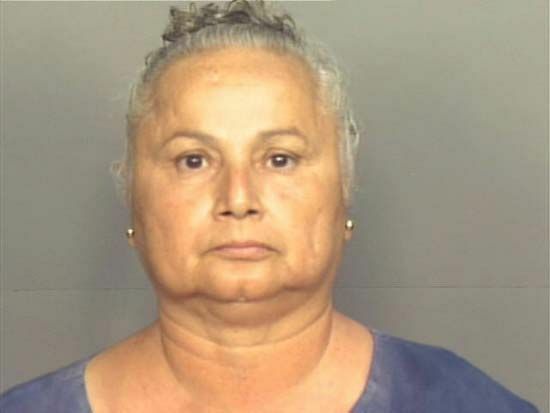 Before she could be arrested, Griselda Blanco fled to Colombia but returned a few years later to settle in Miami. Her return to Miami was graced with horrifying episodes of conflicts with opponents; altercations that would see the bloody end of hundreds of counterparts said to have come in the way of Blanco’s business. This crime epidemic culminated in the infamous drug war known as the Miami Drug War which lasted for many years. At the time, law enforcement sought ways to end the already escalated cocaine trafficking business in Miami. Authorities came up with CENTAC 26 (Central Tactical Unit), a joint operation which involved Miami-Dade Police Department and the Drug Enforcement Administration (DEA). Griselda Blanco was nabbed on February 20, 1985, by DEA agents. She was remanded without bail and was later sentenced to more than a decade in prison. Having built a strong web in the business, Blanco continued to run her cocaine business while in prison. The drug mogul was to be indicted for three murders while in prison. However, the case did not scale through. Blanco was released in 2004 and was deported to Colombia. Griselda Blanco amassed tremendous wealth from cocaine trafficking. The cocaine godmother successfully garnered a total of $2 billion as her net worth during her crime heydays. According to reports, while in the US, Blanco made up to $80 million in a month. She was one of the richest drug dealers of all time. Griselda was first married to Carlos Trujillo with whom she had three sons; Dixon, Uber, and Osvaldo. Her first three sons toed the line of their mother as they grew up and all met their demise in Colombia. It is not clear what happened with her first marriage but Griselda married a second husband Alberto Bravo, her business partner. What seemed to be a peaceful co-existence soon turned into a bloody battle after Blanco discovered that millions of dollars were missing from their profits. Confrontations with her husband in a parking lot soon turned into a shootout and Blanco succeeded in killing Bravo alongside his six bodyguards. She soon took a third husband, Dario Sepulveda with whom she had her youngest son, Micheal Corleone Blanco. Griselda had her third husband assassinated and took custody of her son. This was after Dario kidnapped Michael in a bid to forcefully gain full custody, having separated from Griselda. Griselda was killed on September 3, 2012. The cocaine mogul was gunned down at a butcher shop where she had gone to buy meat on the night of that day. Blanco had who had left the shop was gunned down by a man who climbed off a motorbike to carry out his operation.